The app supports Autodesk® AutoCAD® 2012 to 2019 versions. Version 3.5, 3/28/2018 – Support for Autodesk® AutoCAD® 2019. 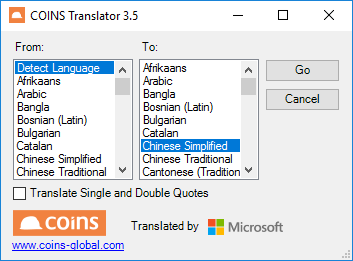 COINS Translate is brought to you by COINS. It's free.